The device excels it in all the 3 functions it offers and you can take it to rugged conditions and biking activities without having to worry about dust or water. The battery backup is more than what average Bluetooth speakers offer and comes all the required input and output ports. Bluetooth speakers are turning out to be one of the must-have accessories these days. 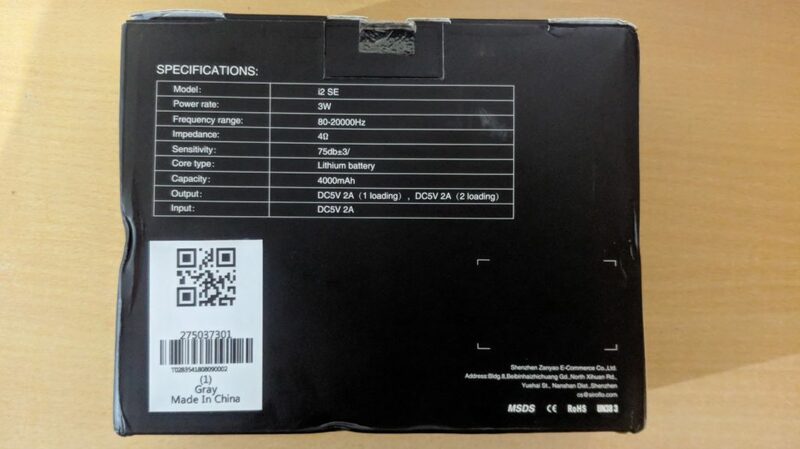 The market is filled with companies that sell such speakers, some of them selling an entire line-up of Bluetooth speakers with different features and design. Choosing a Bluetooth speaker may be a daunting task with all the options, which is why we will be explaining the factors to keep in mind before choosing one. Make sure you select the best one and get the most out of your money. Otherwise, you could end up regretting it. What to Look for When Buying a Bluetooth Speaker? This is the most important factor to look for in a Bluetooth speaker. You want a device that will last longer and keep the music coming. You don’t want it to die after playing a couple of hours when you are outside. Most Bluetooth speakers in the market provide 6-10 hours on average with some boasting 24 hours battery life. A Portable Bluetooth Speaker is meant to be taken outside. There are chances that it may come in contact of water. So, if it is not water resistant, it could damage and fry your speaker. Also, you don’t have to worry about spilling your drink on your speaker or take in out in a moist environment. Many buyers make the mistake of not checking the sound quality before buying a Bluetooth speaker. You want to buy a speaker that offers good stereo sound and at least some measurable bass. Many speakers now come with a subwoofer and decent base. Sound clarity and loudness are also important here, especially if you are planning to listen to music from the speaker on a regular basis. Gone are days when companies used to launch dozens of ugly and bulky speakers. You should look for a Bluetooth speaker on the market that is both portable and well designed. Your speakers don’t need to look ultra modern, but it should come with a good design and be lightweight so that you can easily carry it around. In the past, Bluetooth speakers did cost an arm and a leg but nowadays there are affordable options all over the place. You don’t need to spend a fortune on a good quality speaker. At a reasonable price, you can buy one well-designed package speaker with quality sound and excellent battery life. 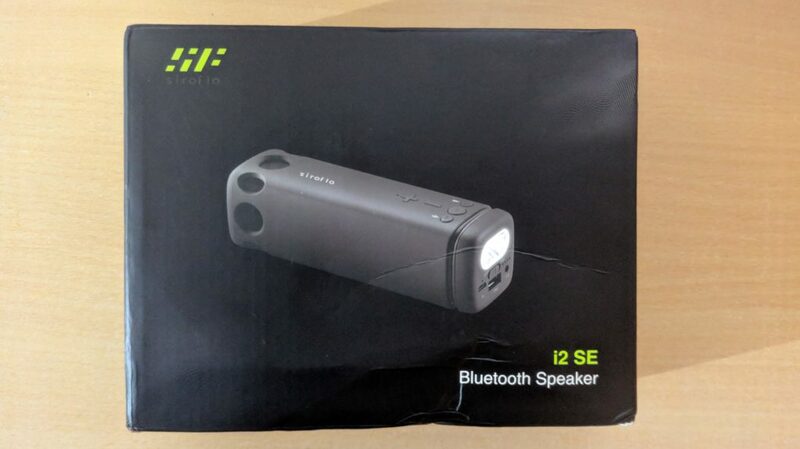 The siroflo PURIDEA i2 SE Outdoor Bluetooth Speaker with Flashlight is not just a speaker but is an all-in-one package for your outdoor trips. 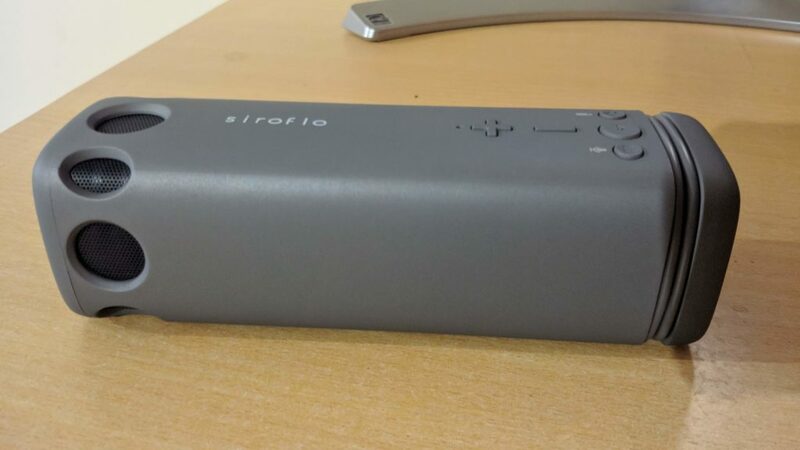 The siroflo Bluetooth speaker includes a flashlight and makes sure that you no longer feel lonely and boring in your journey. This Bluetooth speaker is a perfect listening companion that delivers crystal clear audio entertainment and rugged quality at an affordable price. 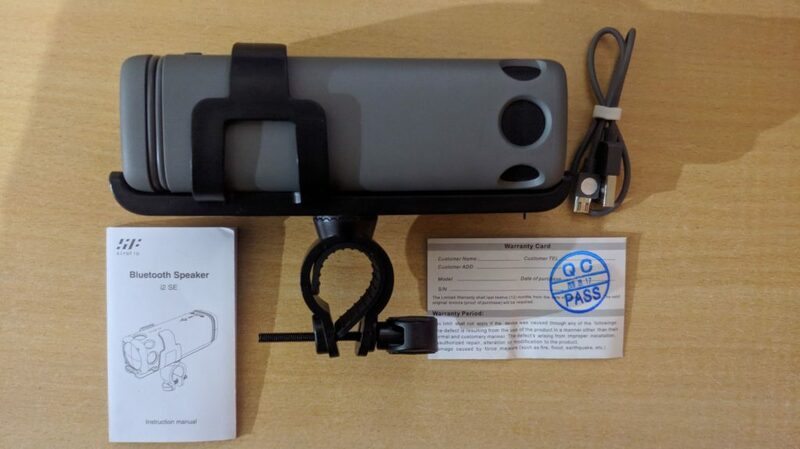 The Bluetooth Speaker can not only serve a power bank for your gadgets bit act as a torch featuring a bike holder. This 3-in-1 feature lets you take your tunes to start a party in your outdoor adventures such as walking, camping, and other travel activities. It comes in a rectangular shape and Grey color. It has an IPX4 splash proof exterior which means it can fully withstand the splashes without damaging its circuitry. There is a dustproof plug designed to keep water and dust out of ports. It has a black color Bike mount that you can attach it to your bike. 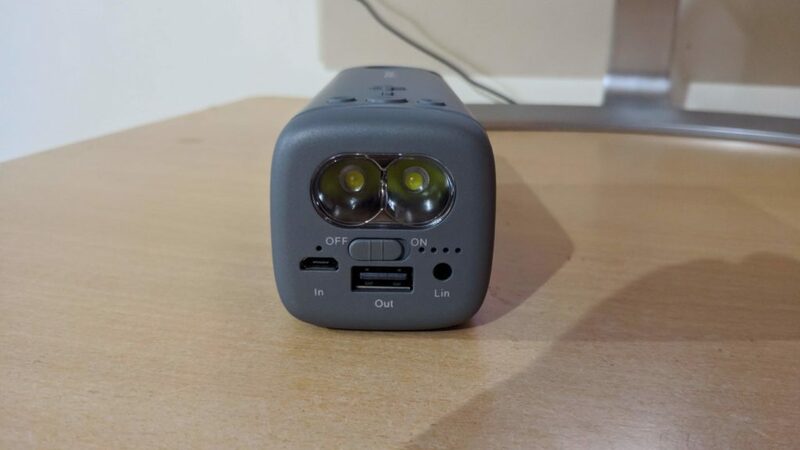 On one side, there is a speaker while the other side contains a dual LED flashlight along with the BT Switch, Micro Input, USB Output, Audio input and LED indicator. A USB cable is wrapped around the speaker. The top side towards the flashlight side holds the volume buttons, Siri, Flashlight Switch, Play/Pause/ Answer call/ hang up and a microphone. As mentioned above, the PURIDEA i2 SE is a 3-in-1 package that can perform as Bluetooth speaker, a flashlight and Power, and Power Bank. 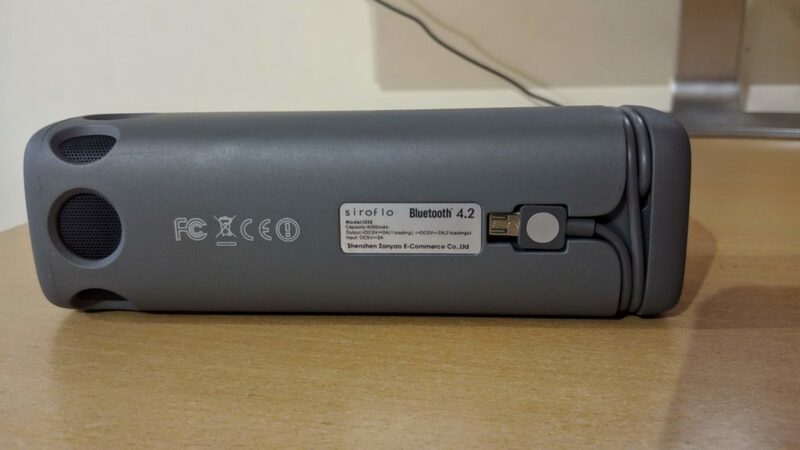 It supports Bluetooth v4.2 that allows you to connect your devices at high speeds and up to 33ft connection distance. The tethered micro USB cable allows you to charge most non-Apple devices while the full-size female USB port is there to connect the likes Apple and other USB power devices. There is a 4,000 mAh battery that gives up to 20 hours of music at full volume on a single charge. It supports Hands-free calling which gives you more freedom to make/receive calls with the built-in microphone. 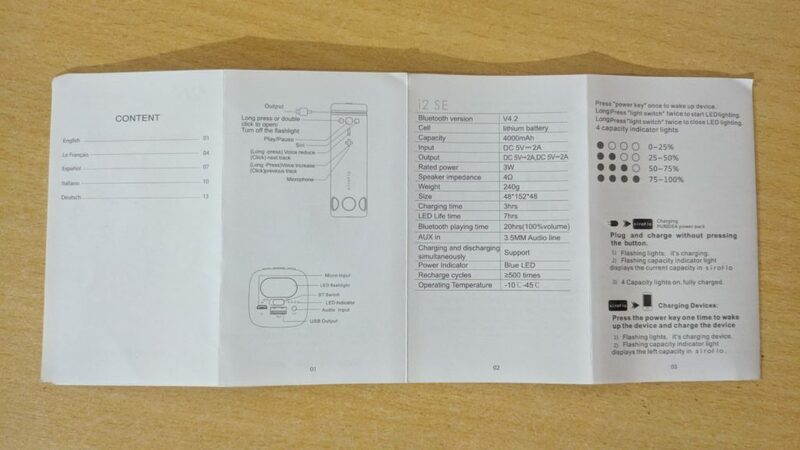 It can also Charge and Discharge simultaneously which means you can charge it and other devices at the same time. If you are looking for a Bluetooth speaker, this is it. Go to this link and get yourself one. The unit that we tested provided adequate sound. Though it is not very loud, it is of high quality and crystal clear. The speaker gives a kind of sub-woofer and bass feeling. It has a durable outside coating that feels like rubber. The speaker really looks splashproof and dustproof. It has an aux pin and input via aux is considerably louder. 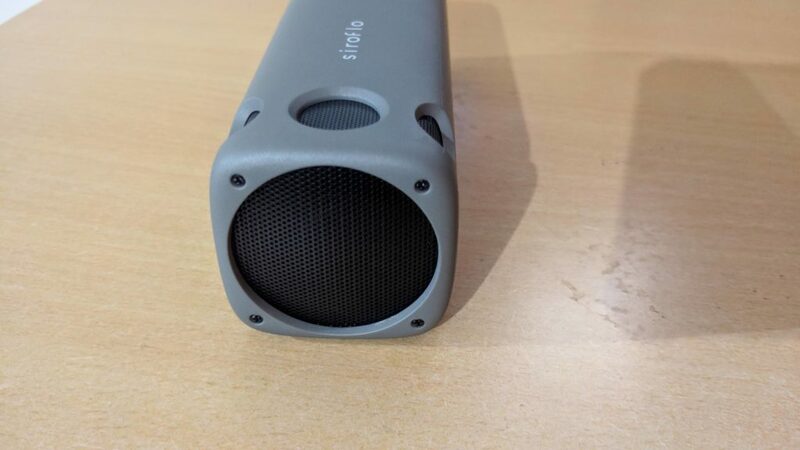 The siroflo PURIDEA i2 SE Outdoor Bluetooth Speaker with Flashlight gives you the best bang for the buck and is the perfect accessory to carry it outdoors. The device excels it in all the 3 functions it offers and you can take it to rugged conditions and biking activities without having to worry about dust or water. The battery backup is more than what average Bluetooth speakers offer and comes all the required input and output ports. Get one and you will you not regret buying this multifunctional outdoor Bluetooth speaker.